ClinPreptm is so much more than just another academic EHR. adjunct faculty, and students can access online...anywhere, anytime. Don't be saddled with canned content. 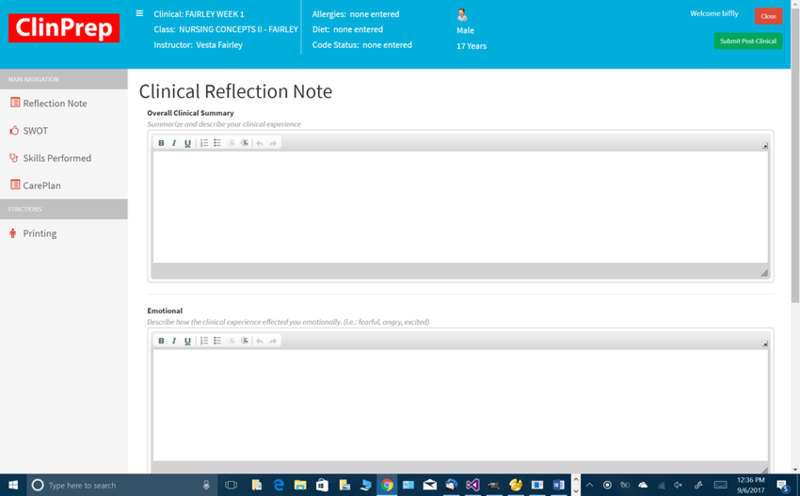 clinical reflection notes, ClinPreptm gives you the flexibility to present your content. in evaluation by reducing subjectivity and enhancing objectivity. clinicals. 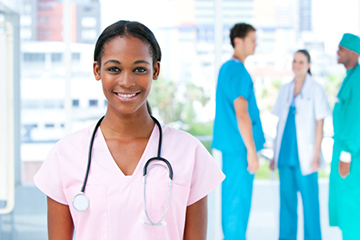 ClinPrep™ is created from our experience to help solve your problems. Taking the place of Clinical Prep Forms (Patient Pickup Packets) used by Nursing Schools, ClinPrep™ is an intuitive easy-to-use electronic system that ensures your students are competent in clinical decision making and critical thinking. ClinPrep™ offers you complete flexibility with a wealth of features that make it ideal for use before, during, and after clinical hospital experiences. Managing the flow of student's pre and post clinical documentation can be a daunting task: stacks of paper, hand-grading, storage areas filled with boxes, or disparate data stored in a dropbox. There has to be a better way. ClinPrep's™ easy to use, customizable interface is the answer for you and will help you to take control of clinical documentation. ClinPrep's™ dynamic, data-driven interface makes data analysis a snap. Imagine having all your students pre and post clinical documentation at your fingertips... anytime and anywhere. 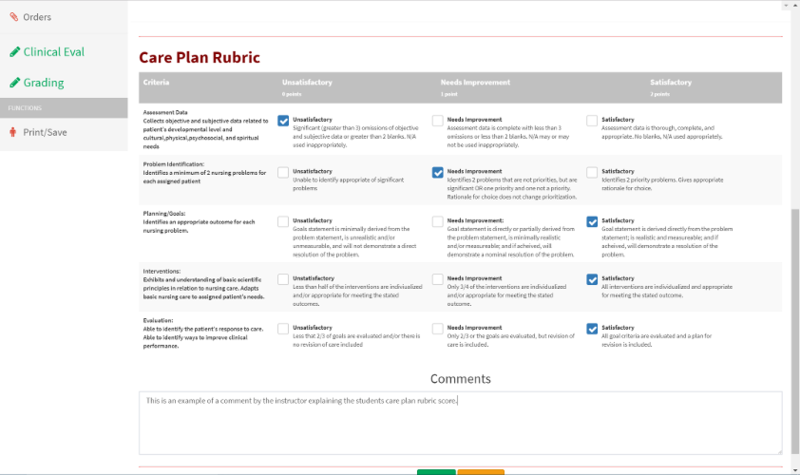 Review and grade student work from virtually anywhere. Request resubmissions without having to manage paperwork. ClinPrep™ takes the place of the paper patient pickup packets, dropboxes or emails that are currently utilized in nursing schools. The electronic system is environmentally friendly and sustainable. ClinPrep’s™ simple interface gives your students the tools to better prepare them for their clinical experiences leading to better outcomes. All data is encrypted end-to-end and includes HIPAA compliant data inputs for patient information. ClinPrep™ allows students to research diagnoses, medications, and diagnostic tests as they develop an individualized care plan for their clinical patient. And, you control the content. 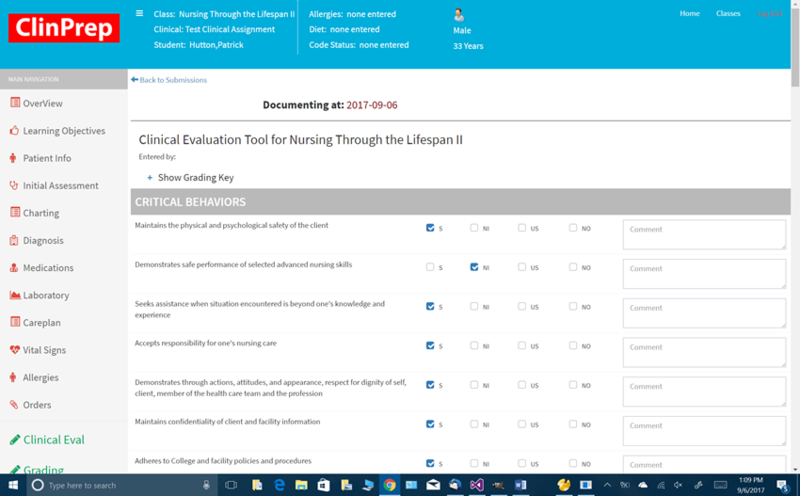 ClinPrep has been a lifesaver in grading and evaluating clinical assignments. 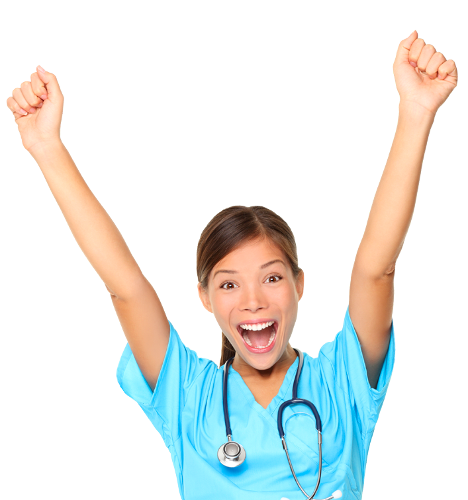 Every clinical assignment submission is time stamped and giving feedback is quick and simple. The students love how “real” it feels. I believe this product is preparing and giving our students an advantage in life after nursing school. ClinPrep allows us to overcome the challenge of an electronic documentation system that also integrates the other clinical paperwork components. We also really appreciate the ease of use for both students and faculty. We would love to show you all the features and functionality that ClinPrep™ has to offer. 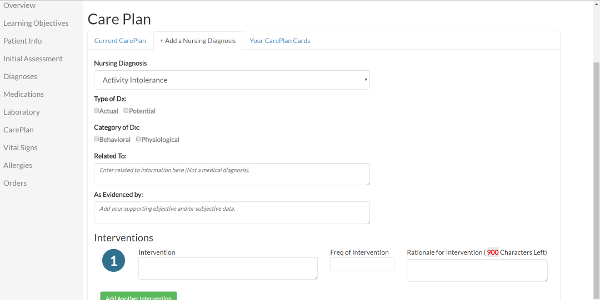 Click the button and let us show you how we can help improve your clinical workflow. 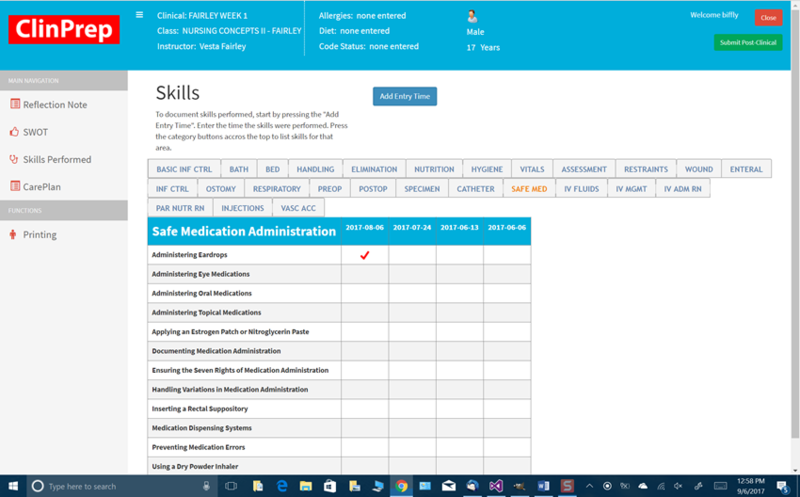 Take control of your Nursing Clinicals. © 2017 ClinPrep™. All right reserved.